Exceptional longevity and performance … that’s how we help protect your brand and your reputation. New Endur IG, what the future of insulating glass looks like. Endur IG is built on the proven technologies that help Cardinal IG units achieve the industry’s lowest failure rate – only 0.2% over twenty years – allowing us to offer the industry’s only comprehensive 20-year factory warranty, because endurance is just as important as performance. A comparison of our warranty and long-term projections. 20 years: actual data || 50 years: projected || lower is better. What’s inside a Cardinal IG unit? Primary Seal: Polyisobutylene (PIB) minimizes moisture permeation, is UV resistant and provides an outstanding argon barrier. Secondary Seal: Specially formulated silicone for IG units provides long-term adhesion, is unaffected by UV exposure and provides excellent durability when exposed to moisture. Silicone also provides structural integrity. Spacer: Stainless steel spacer features a roll form design to provide maximum area for primary and secondary sealant coverage. 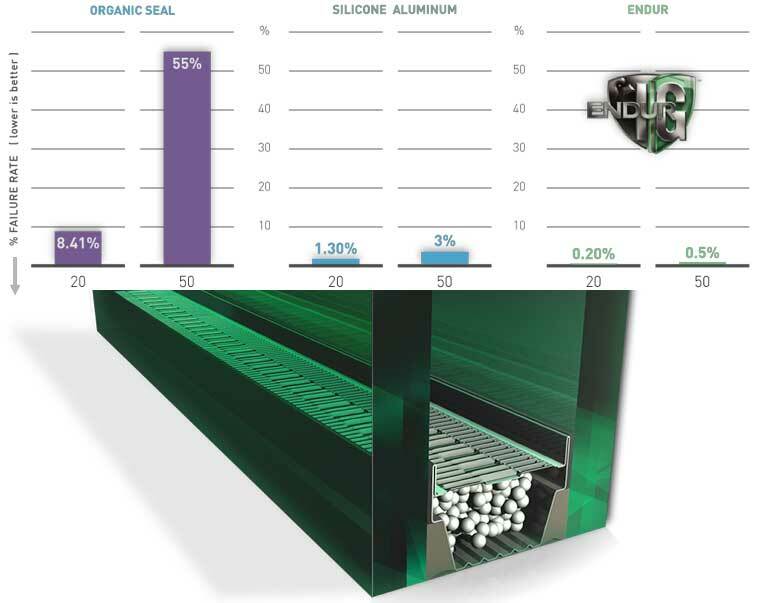 It provides increased resistance to condensation and less stress on IG seal system. No polymer content eliminates the risk of chemical fogging. Desiccants: Beaded molecular sieve provides initial frost points below -65°F. 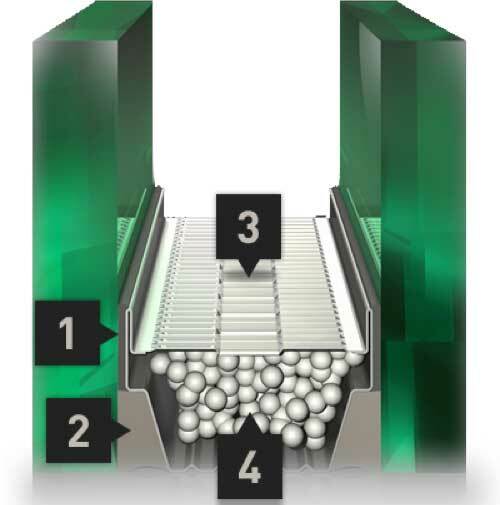 Desiccant assures optimum moisture adsorption while minimizing the effects of temperature-related pressure changes. If you need high solar gain glass to allow the winter sun’s heat to pass into the home while blocking heat loss, LoĒ-180 is the choice for you. Add in a layer of LoĒ-i89 to any glass unit to lower u-factors further and give an even warmer interior. *Technical data information provided by Cardinal Glass Industries.